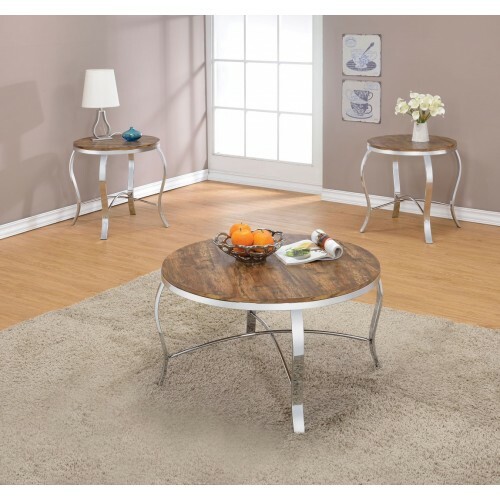 The Malai 3 piece occasional group comes in two flavors: the weathered dark oak and chrome and the weathered light oak and chrome. 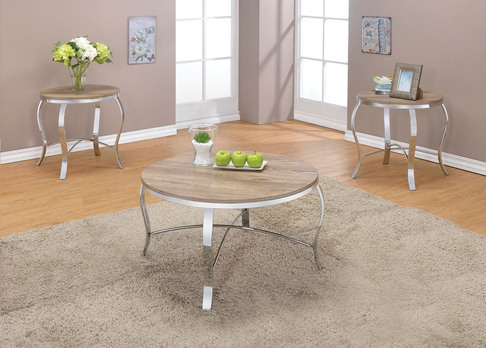 Whether your interested in a rustic look of texture in a dark wood or adding a layer of texture in a lighter tone these table will add sparkle to your room with the contrast of the metal chrome trim. Both sport a slight curved cabriole leg with metal “X” support for stability of the set. By mixing metal and wood, texture and shinny, industrial and sophistication you can create a room that is all your own. No posers here.